Job skills training and the obtaining of gainful employment is an important step in recovery. We guarantee full time employment to those in our long-term recovery program. This provides the opportunity to learn how to apply recovery skills to real life situations while continuing to receive all the professional clinical and case management services needed for ongoing recovery and application. 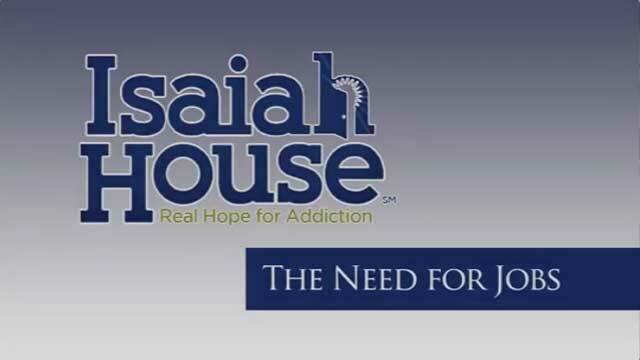 If you as an employer/business owner are interested in partnering with Isaiah House in this important step of recovery, contact Andy Ayers at 859-375-9200. Some of our clients are employed with Isaiah 58 Builders. These men who are experienced carpenters, electricians and plumbers can build and remodel homes, garages, decks, replace windows/doors, lay flooring/tile, paint, drywall and take care of any construction needs. Isaiah 58 Builders is fully licensed and bonded. For a free estimate, please call Daniel Brown at 502-751-0092. Visit our Isaiah 58 Builders Facebook Page.